I was showing my sister-in-law pictures of the new pups last night and ran across this picture of daughter Lauren and Osa, the first Aussie we had the pleasure to be associated with. 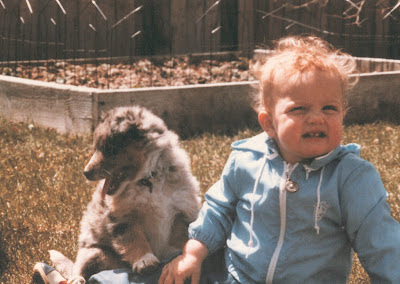 It was taken in 1983, back when they were both pups. Lauren and I were just discussing the other day how much Skidboot, the new pups mother, resembles the mature Osa.